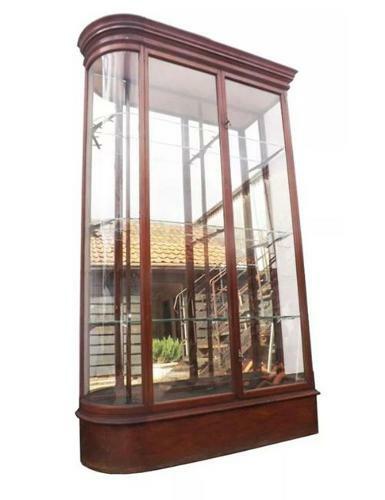 This is a beautiful Victorian mahogany single bow ended glass shop display cabinet. the cabinet would have been used in a jeweller's originally for displaying silverware, the cabinet has a mirrored back and has the original brackets and glass shelves. Cabinet is in beautiful original condition and ready to use.